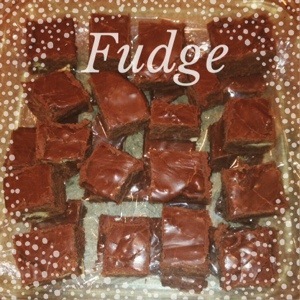 This is my mom’s famous fudge recipe. She made it every year at Christmas time growing up and it was by far my favorite. 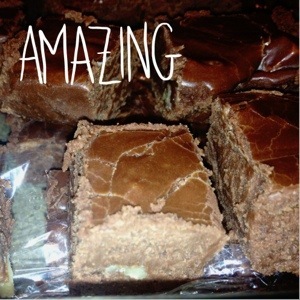 I finally got around to making this over Christmas and it was so easy and great tasting just like I remembered. Seriously, I think I might make this more often it’s that addicting. 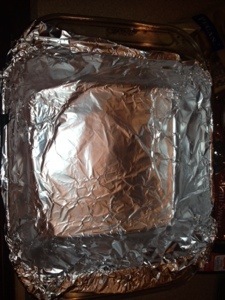 square baking pan with foil. 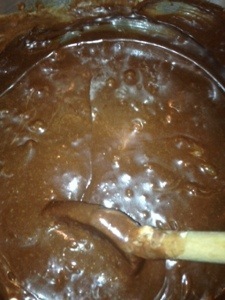 That way, when the fudge has hardened, you can lift it straight up out of the baking dish, and makes for easier cutting. 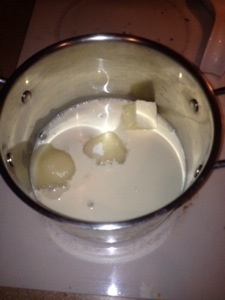 Combine sugar, evaporated milk, butter and salt in medium, heavy-duty saucepan. Bring to a full rolling boil over medium heat, stirring constantly. Boil, stirring constantly, for 4 to 5 minutes. Remove from heat. Stir in marshmallows, morsels, nuts and vanilla extract. Stir vigorously for 1 minute or until marshmallows are melted. 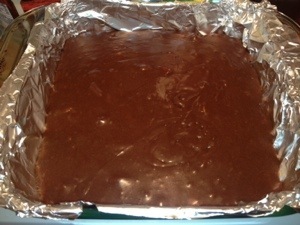 Pour into prepared baking pan; refrigerate for 2 hours or until firm. Lift from pan; remove foil. Cut into 48 pieces. Try crushing peppermint candy canes sprinkled on top for a fancy finish, tasty too!